We’re able to make comics that are free for everyone to read online thanks to the generous support of our readers. If you enjoy what we make and want to see more of it, consider signing up for one of our recurring monthly subscriptions or leaving a one-time tip. These small contributions add up and afford us the ability to buy necessary supplies and tools, travel to conventions to spread the word about our work, and put the time in to actually make creative work. Each type of support has associated rewards as a thank you for helping us continue to do what we do! Subscriptions – Join the Chio Club! A la carte content – pick and choose what you like! Access to subscriber newsletter and Discord channel! Enjoy a back catalog of previously uploaded content with your membership! Pay the minimum, or more if our content is worth more to you! Drop something in our digital tip jar and receive a thank you Chio doodle! Varying types of commissions are available from Bug via Commiss.io. Limited numbers of specially priced “patron” slots are available each month. 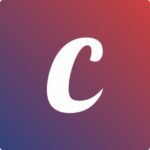 Flattr is a new way for creators like us to get support for their work, from the people who enjoy our content the most. When you install the Flattr plugin, payment is automatically debited from your Flattr account to ours when you browse our comics. Easy! Find out more here.